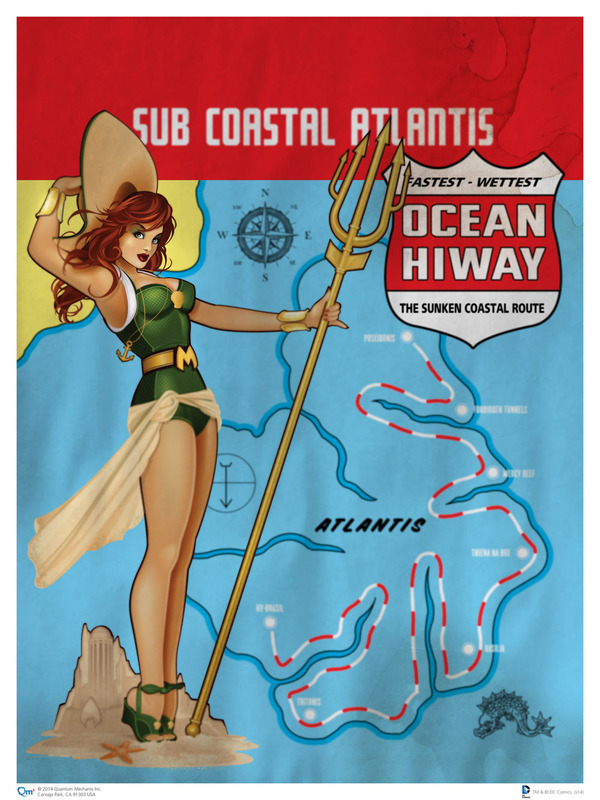 Here's an extremely cool set of 1940s-style pin-up art featuring several iconic heroines form the DC Comics universe. They were created by Ant Lucia, and I think they turned out beautifully. We've posted a lot of pin-up style fan art over the years, but this set has more of that old-school classic feel them them, which I love. One of my first jobs was as an assistant to an artist, and one of his specialties was pin-up art, so I learned a lot about the history and the craft of that style. If you like any of these enough you can preorder the first five prints (Wonder Woman, Harley Quinn, Batgirl, Stargirl, and Mera) today, and another five will be available for preorder in about a month at QMx's DC Comics page. "Each DC Comics Bombshell will be rendered on a museum quality 18"x24" art print and will be priced at $14.95." Warner Bros.' DC Comics Movie Line-Up Revealed! ?